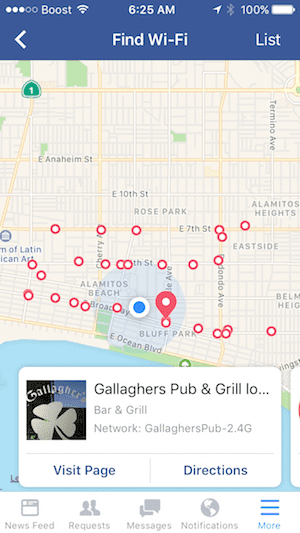 Thanks to a new feature being offered by Facebook, you can now easily find out the closest place that is offering a public or free Wi-Fi using your iPhone. 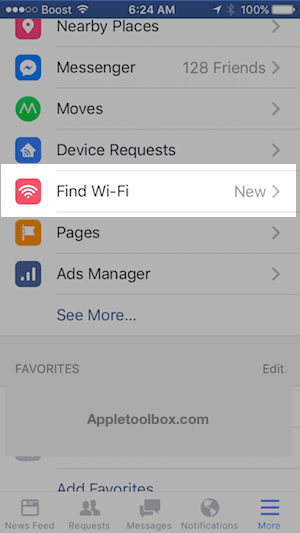 The new feature “Find Wi-Fi” is another offering from the company to keep users attached to its mobile app. 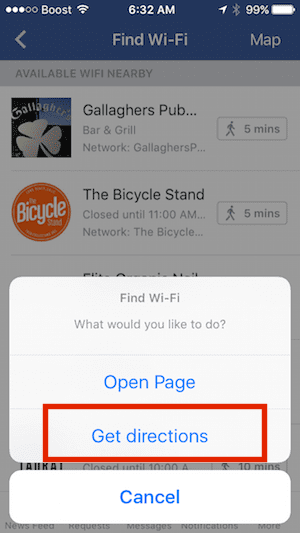 Facebook’s new ‘Find Wi-Fi’ feature lists places such as malls and cafes nearby with free or public Wi-Fi. If you’re not in range, clicking on one of the places will show you options to open page and get directions. Clicking on Open Page will take you to the Facebook profile page of that particular cafe or restaurant. It also shows specific details such as the time till which the cafe or restaurant will be open. 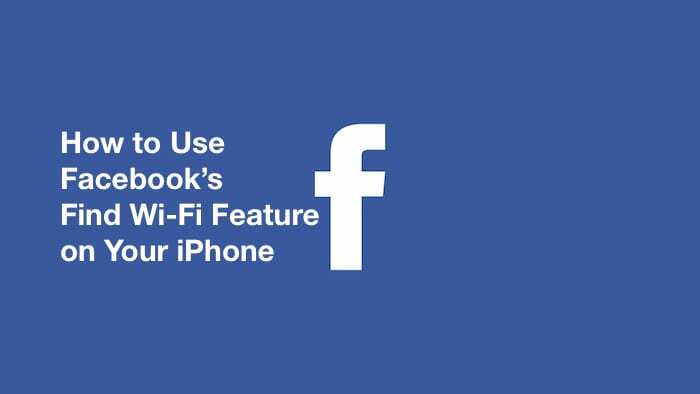 The feature comes built-in with the Facebook iOS app. In order to use this feature, simply tap on the Settings tab in the app. 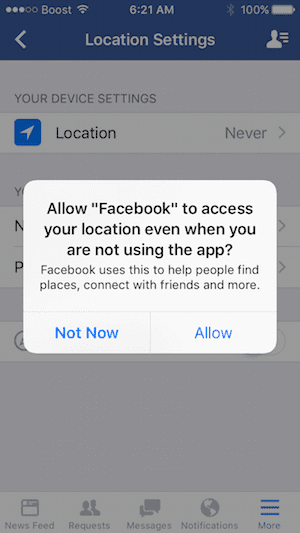 This feature requires that you turn on the location settings for the app to “Always”. Step – 1 On your Facebook app, tap on More and choose Settings > Account Settings. Here you will need to change the Location field to Always. Step – 3 Tap on Find Wi-Fi and it will bring up a list of places offering public Wi-Fi Spots near you on a Map. Tap on List on the top right corner to get a list of places nearby along with the distance information for the business. 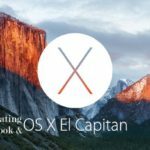 It is important to be aware of the tradeoffs around this offering. 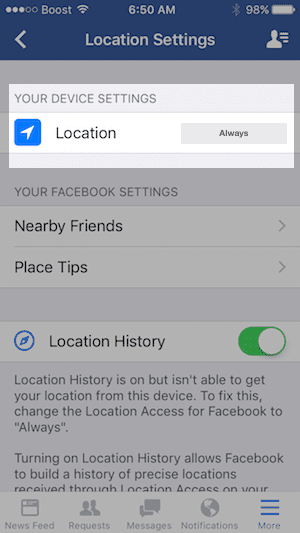 When you use this feature, your location history is saved and it allows Facebook to track your precise location history. The second issue is around the battery consumption of your device. When you set the location to always on, that does tend to consume more battery and cellular data. Lastly, one should be cautious about privacy and security when accessing a free or a public Wi-Fi. 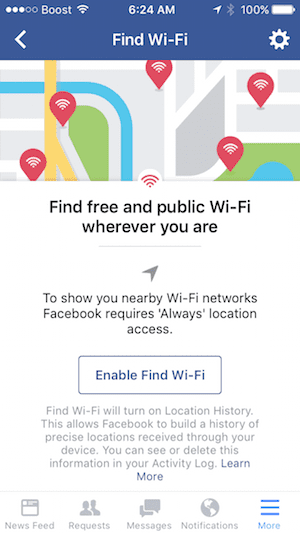 Facebook is listing out the official Wi-Fi network for each featured business, which mitigates the chances that you’ll access a spoofed access point. 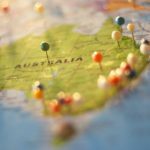 The new Find Wi-Fi feature was reportedly being tested last month and has now being rolled out in select countries. Check your iPhone and you may be use this feature now. 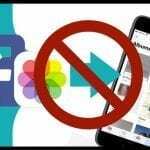 The offering comes at a time when Facebook is trying to push its Facebook live service harder than ever. Without a strong internet connection, people have challenges when trying to film live video. 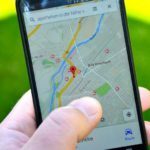 The more nearby locations Facebook can point you to, the better the quality of real-time information sharing and videos for its live feature. Facebook is also trying to entice business owners to support this feature. Local business owners can now sign up for a Facebook Wi-Fi account to turn their business into a public wi-fi hotspot. 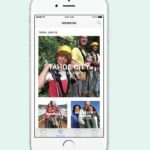 Facebook claims that this will increase the foot traffic into the store.